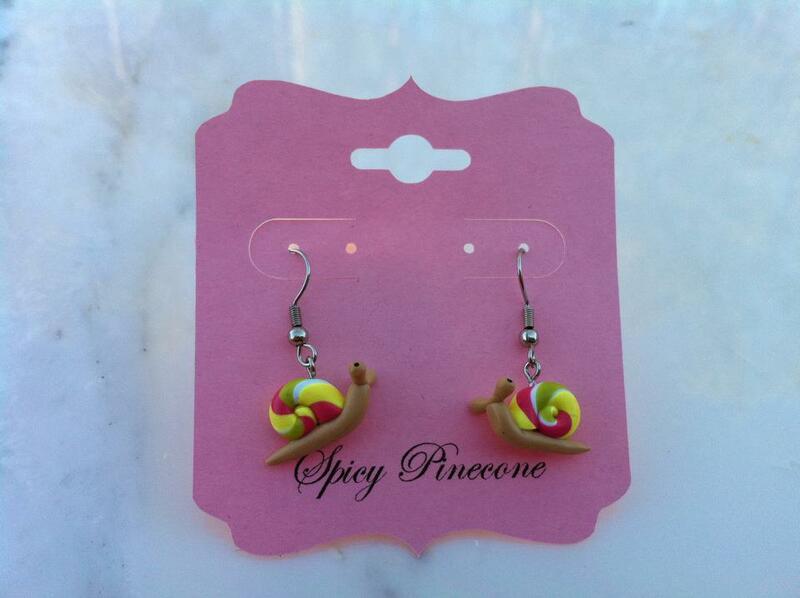 Spicy Pinecone: Raspberry Swirl Snail Earrings. When I was a little girl, I used to live in England. Whenever it rained, there used to be snails EVERYWHERE. I would pluck them off the trees, put them in my pockets and take them home (or to school... where I'd let them slime a trail across my desk). 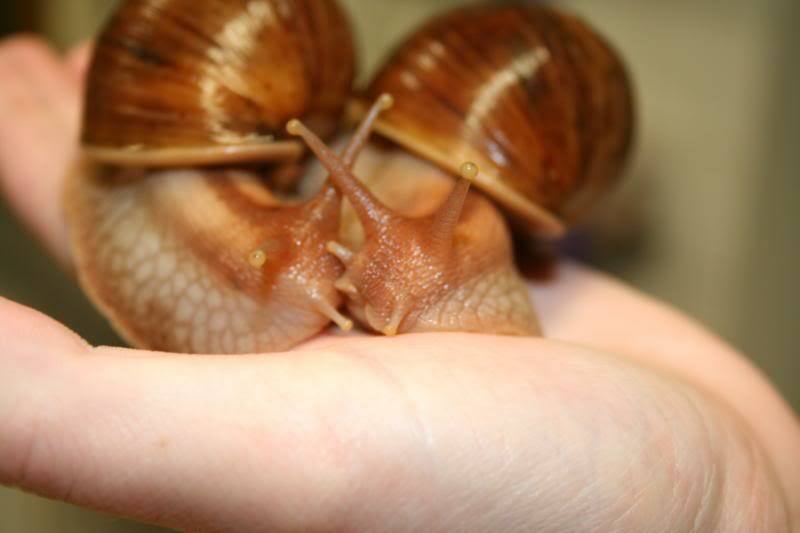 My Giant African Land Snails sharing a snail-y smooch. Anyway, long story short. I came up with the idea to make some cute snail earrings. They're all the charm without the slime. Teeny little boogers, aren't they? They were interesting to sculpt, but super fun and definitely a project that I enjoyed. The earring cards were made using a Silhouette Cameo using the "Print & Cut" feature. I had to fiddle with it a bit to figure it out, but it ended up being an easy project. May have to post a tutorial on it later. Finally had something to put up in the shop! So excited and can't wait to see what the New Year brings! Hope you all have a very happy and safe New Year's! Hi was doing a google search and found ypor website, I too made the earring cards using silhouette cameo, is the reason you did print and cut because you added text? I want to add text to mine also, but didn't think I wwould need to do print and cut. Your little snail earrings are so cute. Great idea.